Product prices and availability are accurate as of 2019-04-20 03:19:16 UTC and are subject to change. Any price and availability information displayed on http://www.amazon.com/ at the time of purchase will apply to the purchase of this product. Extra storage doesn't have to be plain or ugly! 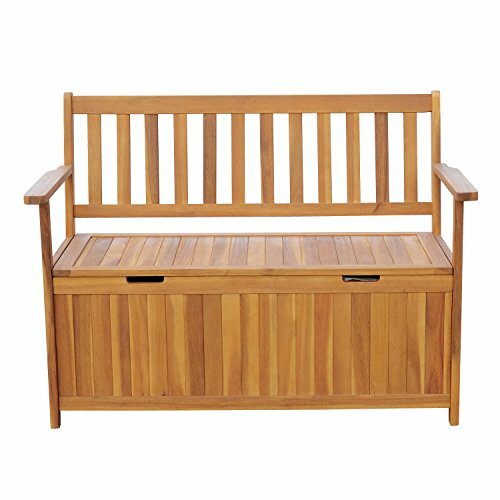 This wooden outdoor storage bench is made from durable natural acacia wood, which is designed for all-weather use. 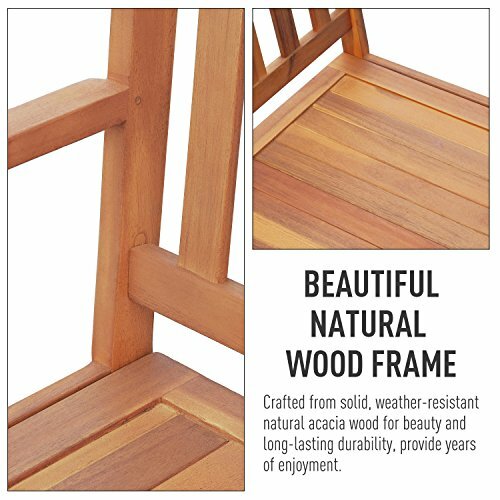 With the slat design back, it provides a timeless yet modern appeal to your outdoor space. 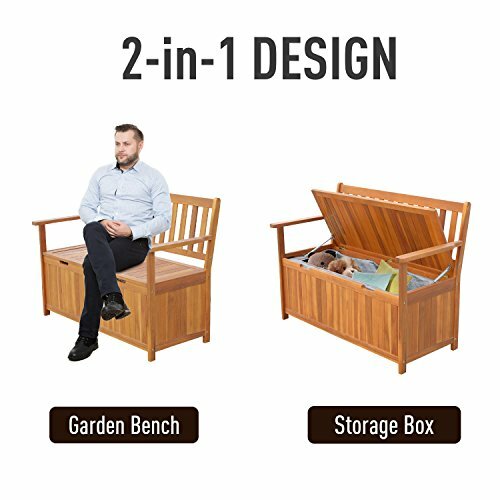 With a weight capacity of 485 lbs, this bench is sturdy enough for 2 people to sit on comfortably. 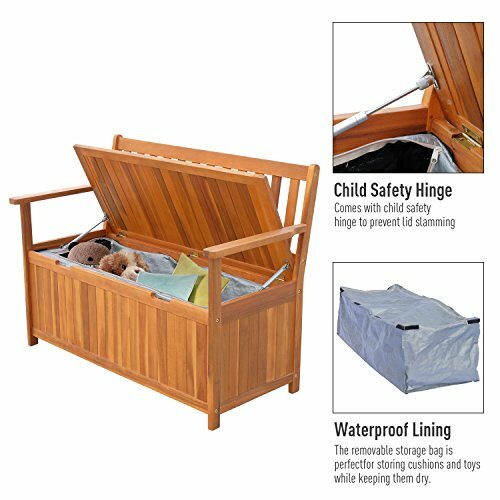 The spacious storage compartment underneath comes with a removable waterproof lining that's perfect for storing cushions, kids toys, and tools while keeping them organized and dry. ?PERFECT PATIO BENCH: Beautiful modern zen garden bench is a great addition to any outdoor setting including your porch, deck, backyard, garden, swimming pool, or wherever you need it. 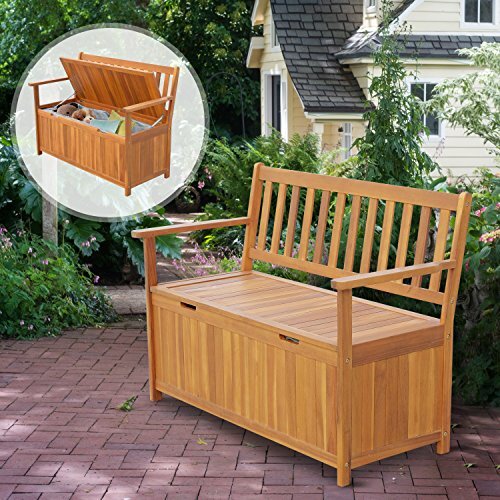 ?SOLID WOOD: Crafted from solid, weather-resistant natural acacia wood for beauty and long-lasting durability this durable outdoor entry bench will provide years of enjoyment. 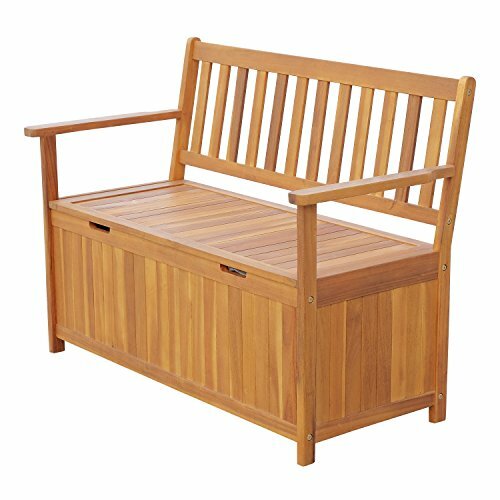 ?MULTIFUNCTIONAL DESIGN: This pool storage bench is both a spacious outdoor storage solution and a practical, beautiful garden bench. ?2 PERSON SEAT: Large seat area provides enough seating room to accommodate 2 adults with a weight capacity of 485 lbs. ?WATERPROOF LINING: The spacious storage compartment underneath comes with a removable waterproof lining that's perfect for storing cushions, kids toys, and tools while keeping them organized and dry.